How to Choose a Good Office Plant. Anyone who keeps houseplants knows that indoor foliage can brighten a dull, dreary atmosphere and create a refuge from everyday stresses. Plants can also remove common toxins from indoor environments and add oxygen to stale air. Given these benefits, you’d think that indoor plants would be as common in offices as staplers and annoying coworkers! Sadly, most of us know only two kinds of office plants: the silk ones and those dusty brown fire hazards on top of the filing cabinet. While many of these leafy casualties could have been saved with proper care, it’s critical to choose plants that can thrive in the challenging office biome. With a little forethought, you can choose the perfect plant to improve your workplace’s aesthetics and your health. 1. Assess your office lighting. Obviously, a plant that needs full sun doesn’t have much of a chance in a windowless copy room, but figure out where you can put plants in your office and determine how much natural sunlight they’ll get on average. However, when in doubt, low light (shade loving) plants will do fine in most office settings (such as the top of a cubicle in the center of the floor, away from the windows). Some plants will do well if placed near the fluorescent lights in the office. If you have access to untinted south-facing windows, you’ll have more flexibility in choosing plants. 2.Decide how much space will be designated for the plant. Get an idea both of the floor or counter space and the vertical space available. 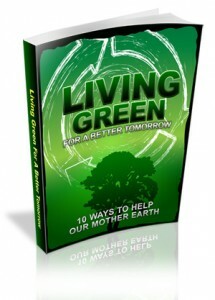 3.Estimate how much care you’ll be able to devote to the plant. Some plants require more maintenance than others, and sometimes it can be difficult to find time in the workday to water or prune them. Be honest with yourself in appraising how much attention you and your coworkers can give to the plant(s). 4.Determine the purpose of your plants. Different plants can do different things for you. 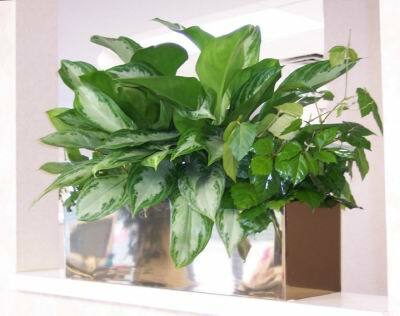 If you mainly want to brighten a space, you’ll probably want a flowering plant or one with colorful, variegated leaves. If you’re looking to remove as much carbon dioxide–or add as much oxygen–as possible, you should look for a green plant with a lot of leaf area. Certain plants, such as the Areca palm, Kentia palm or Dracaena ‘Janet Craig’ are exceptionally effective at removing airborne chemicals commonly found in offices. 5.Set your plant budget. While some plants can be very expensive individually, the more plants you plan to own, the more important your budget will be. Figure out how much you want to spend purchasing the plants. Also figure out how much effort you can put into their long-term maintenance. 6.Research plants. Once you have your specifications, you can take them to your local garden store and ask a professional to suggest some plants that might work. You can also research plants on the internet to determine which will match your needs. Remember to think about the long term (sure, that little umbrella tree (Schefflera arboricola) will fit on top of your desk now, but what happens when it’s full-grown?). 7.Some plants (like many orchids and bonsai) have very specific light, humidity, and temperature needs. If this is your first office plant, try something easier (like philodendron or pothos). 8.Purchase your plants. You can buy from your local garden store or farmers’ market, or you can do your shopping online. Whichever you choose, make sure you get healthy-looking plants that are free of mold, rot and pests. This is easier to do if you can see the plants, of course, but many online stores will offer you a guarantee to offset the risk. If you have the budget you can try an office plants company.